Mighill1 Cressey (Mighel Cresse), the emigrant, was probably born in Kent County, England, in 1628, and landed at "Royal Side" Salem, now Beverly, Mass., in 1649, when he was 21. It is said the family has been traced back to 1066 A.D., when a Cressey was with William, the Duke of Normandy, France, who crossed to England and became William the Conqueror. The records indicate that there were two young men whose names were Mighel and William Cresse, who lived in the Salem township before 1650. They probably came with Captain Thomas Lothrop, by whom they were employed. William1 was living in the family of Mordica Larcom of Beverly Farms in 1661, and later went to Stamford, Connecticut, and probably was the ancestor of the families that spell the name Crissey. It was Captain Lothrop who, with 60 of his soldiers, fell in the massacre by the Indians during King Philip's War at "Bloody Brook" in Deerfield, Mass., on September 18, 1675. They were styled the "Flower of Essex." Maghill1 lived in the Lothrop family and the family of Joshua Ray, who lived on Conant Street, North Beverly, whose dau. Berthia had married Captain Lothrop. He lived here until his marriage with Mary, daughter of John and Elizabeth Batchelder of "Royal Side." John Batchelder was born in Canterbury, England, in 1611; was a tailor. He sailed from Sandwich in 1637; built a house near the present golf grounds, near Elliott Street; was a member of a military company. He died in 1675 at 64; estate valued at £230 . His will begins: "I bequeath my soul to the Lord Jesus, my Redeemer, and my body to my friends, by them only to be interred, and what estate the Lord hast given, I dispose of, etc." Mighill1 Cressey, farmer, married Mary Batchelder in 1658, who was baptized at the First Church in Salem, September 19, 1640, and died in child-bed in 1659, leaving a son, John,2 who was brought up by his grandfather, and uncle, Joseph Batchelder. Mighill moved to Ipswich and married (2) in 1660 Mary, daughter of Mark Quilter, born in 1641. He died in Ipswich in 1670 at 42; value of estate as per inventory, £52 17s. 10d. His widow moved to Rowley with her 3 children and married (2) in 1671 Joseph Horsley, who died in 1699. She died in Rowley May 7, 1707 at 67. Mighill1 was probably a member of a military company. On various records the surname Cressey is spelled 23 different ways. Among other things in the inventory was a musket, sword, and a bandoleer, 1 spinning wheel, 2 skillets and a warming pan, 2 bullocks, 1 steer, 3 cows, 2 sucking calves, 5 sheep, 1 lamb and 3 swine, wool, cotton, flax, 2 pr. cards, 16 bushels Indian corn, rye, malt, barley, boards, plow, chain, sled, wheels, 2 axes, wedges, bedding and furniture; six acres of land at "Royal Side." Dea. John2, born August, 1659, at "Royal Side," now Beverly, Mass., married Sarah Gaines. Maghill, born April 1, 1661, in Ipswich, married Sarah Hidden of Rowley. William, born 1663 in Ipswich, married Anne Hidden of Rowley. Mary, born 1667 in Ipswich, married 1698 Samuel Hidden of Rowley. He died in 1717. She died about 1722. 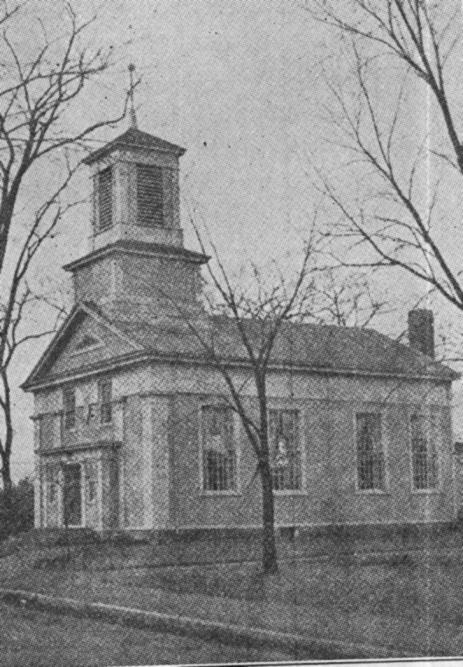 THE SECOND CHURCH IN BEVERLY, MASS.